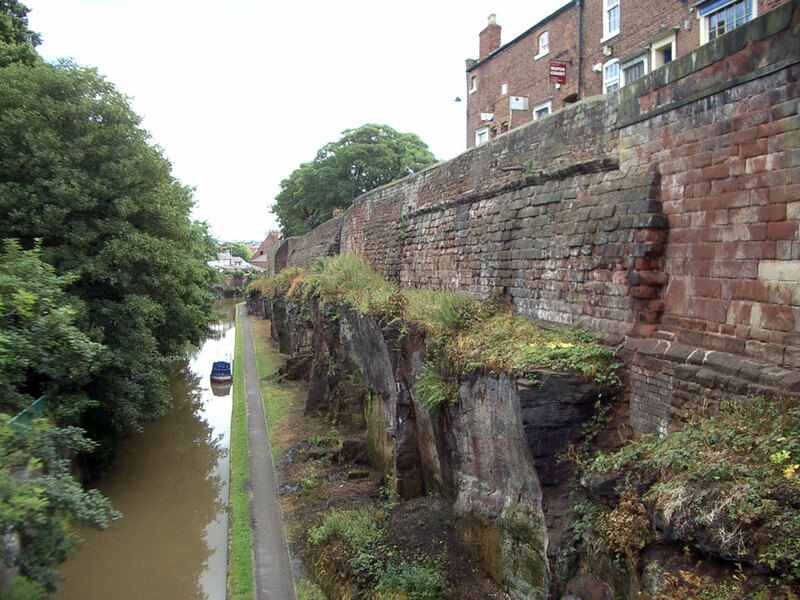 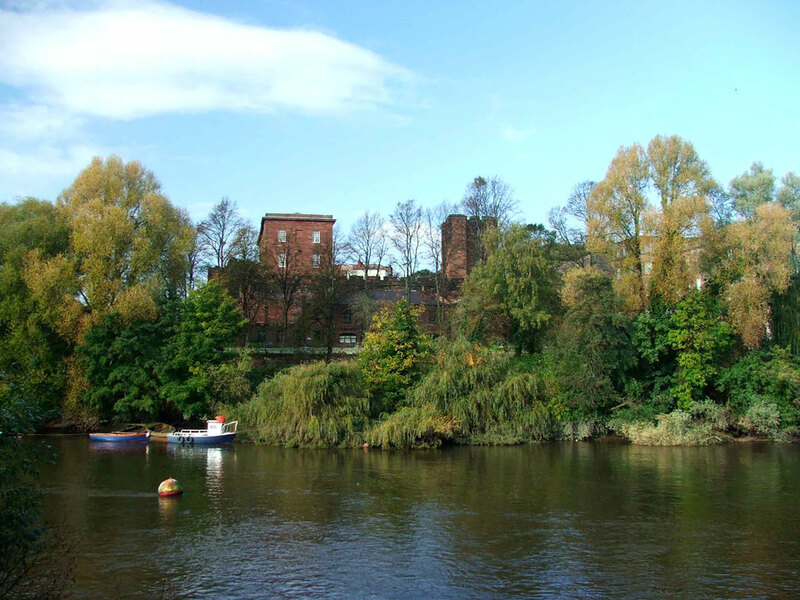 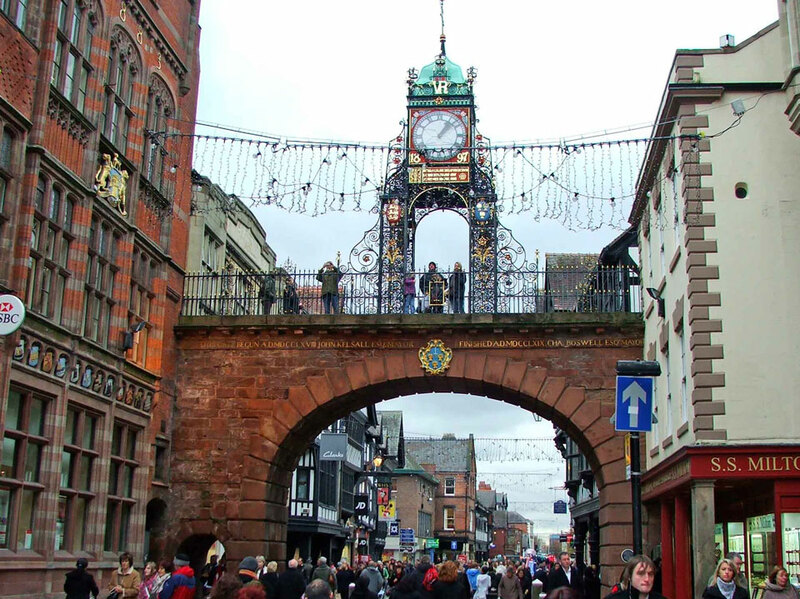 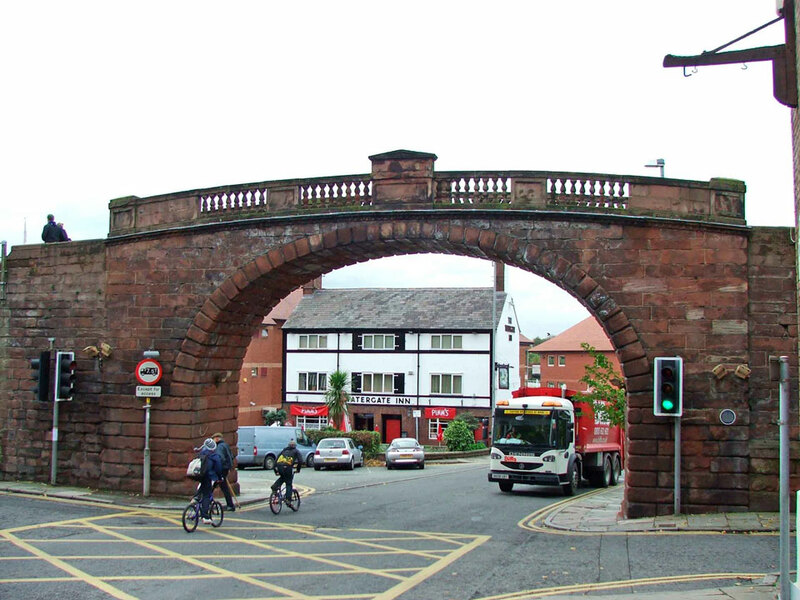 Chester, or Deva Victrix, was chosen to be one of the three main permanent Roman legionary fortresses in England and the first defences were built near the river which was wide enough to allow it to be used as a major port. 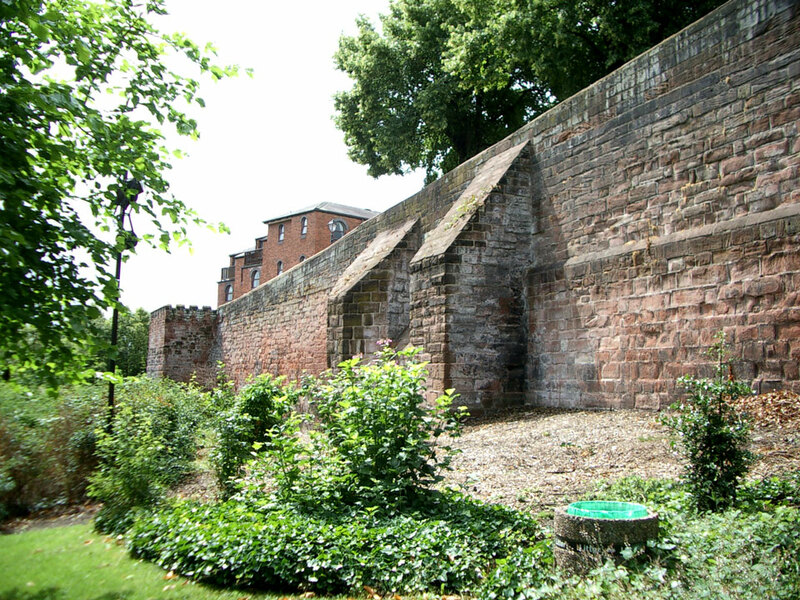 The first Roman defences were a 15 feet high turf wall with timber buildings inside which were started c.AD78. 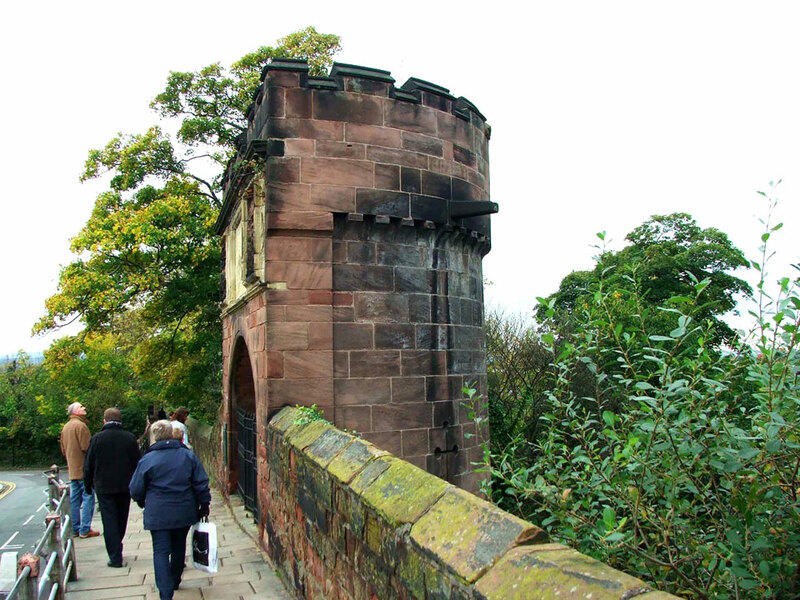 In AD102 the wall was rebuilt in stone with 4 gates and 26 towers. 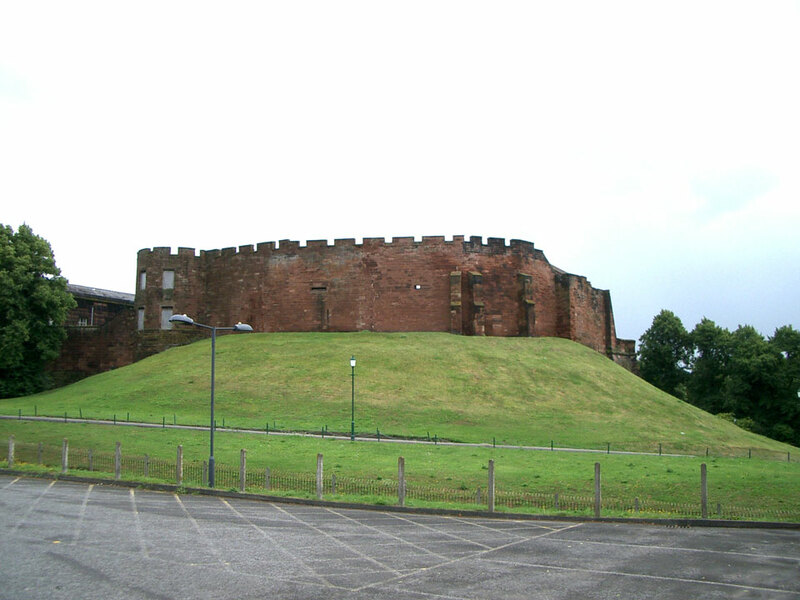 The largest amphitheatre to be found in Britain was built just outside the fort. 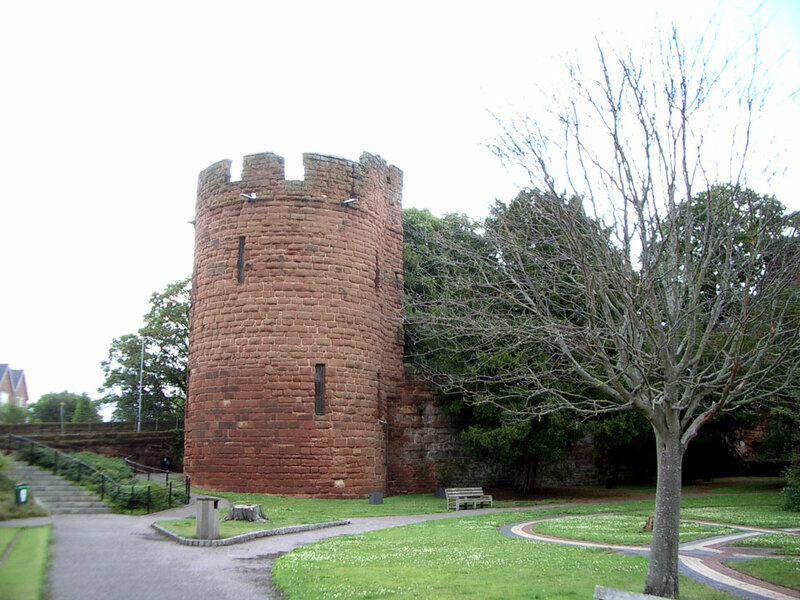 The Norman castle was constructed of timber in 1069 but was later rebuilt in stone in the early 13th century. 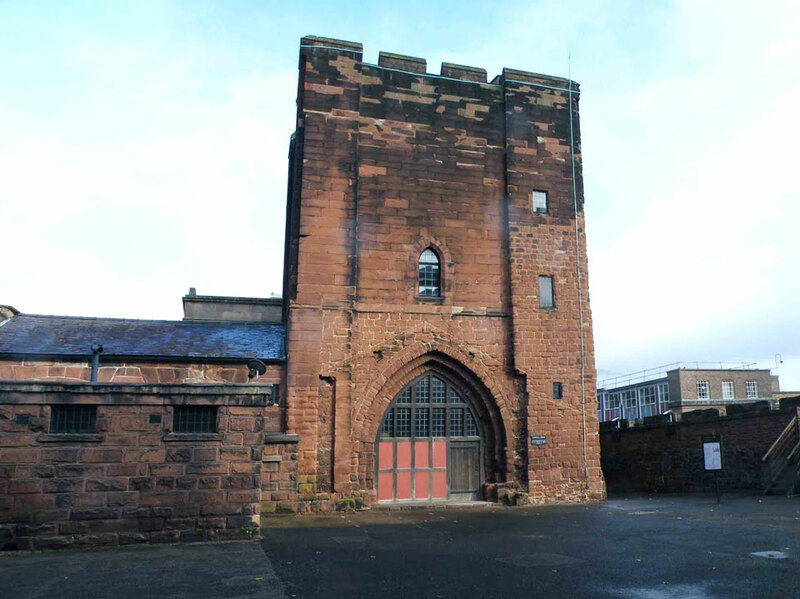 Only one tower from this time remains, the Agricola Tower, as the remainder was demolished at the end of the 18th century for new Court buildings. 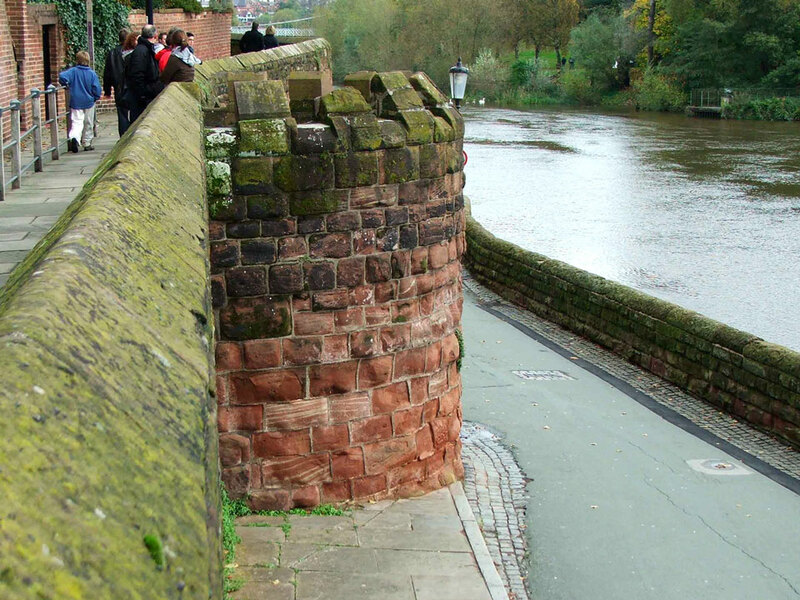 By this time the river had silted up preventing access by shipping and the city had become less important. 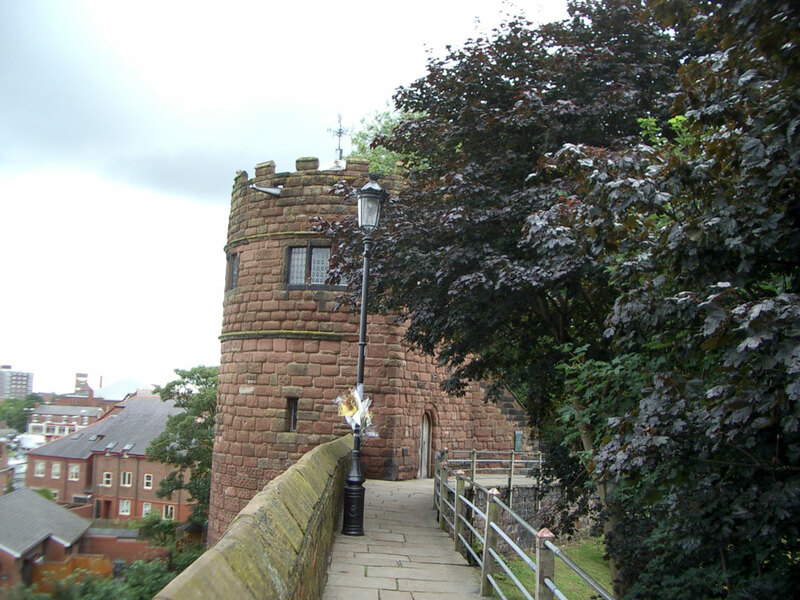 The present city walls to the east and north sides are mainly Roman in construction but were refurbished at the beginning of the 13th century. 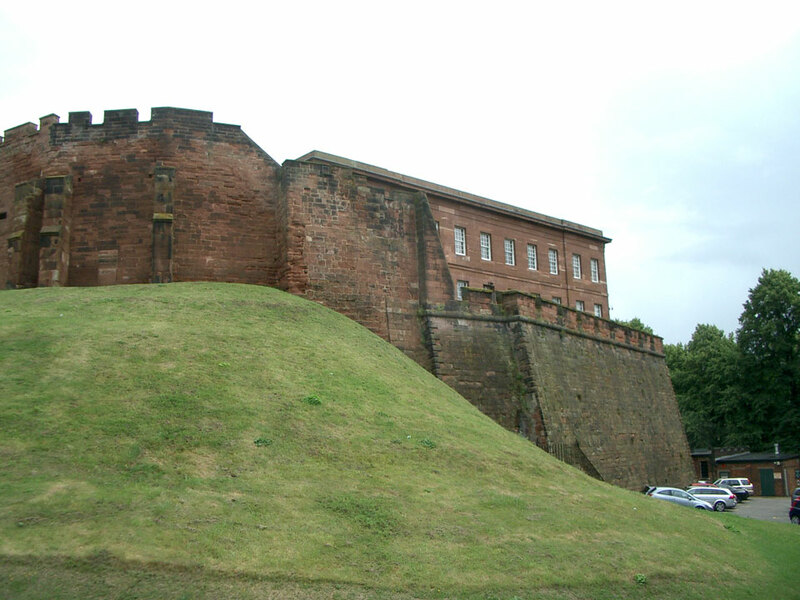 The west and south walls were demolished and replaced by a new wall with gateways and towers to enclose a larger area including the castle. 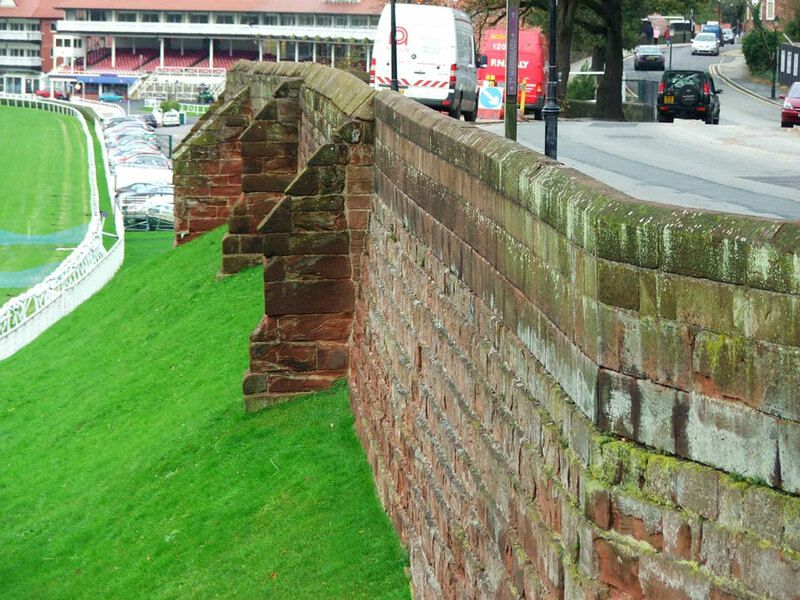 The wall is two miles long and is the only complete one in the country. 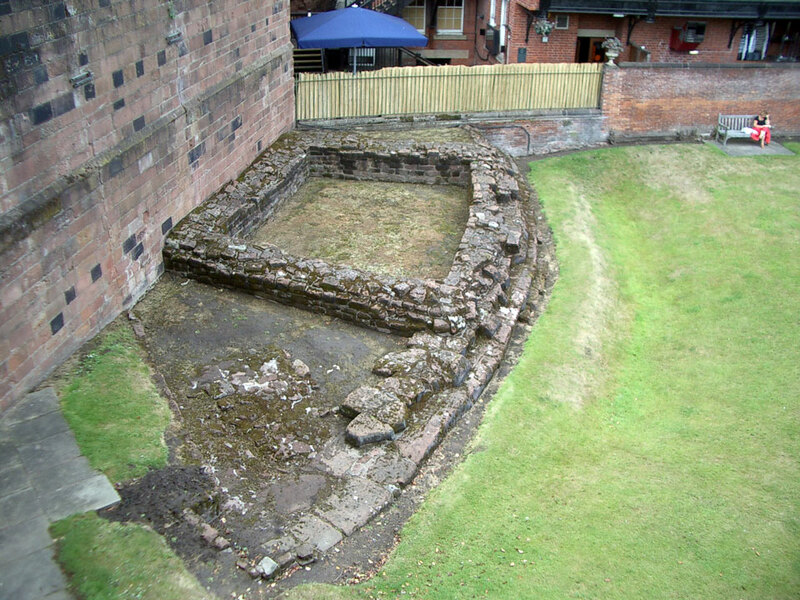 Originally the Roman walls had 4 gates, on each of the four sides of the fort. 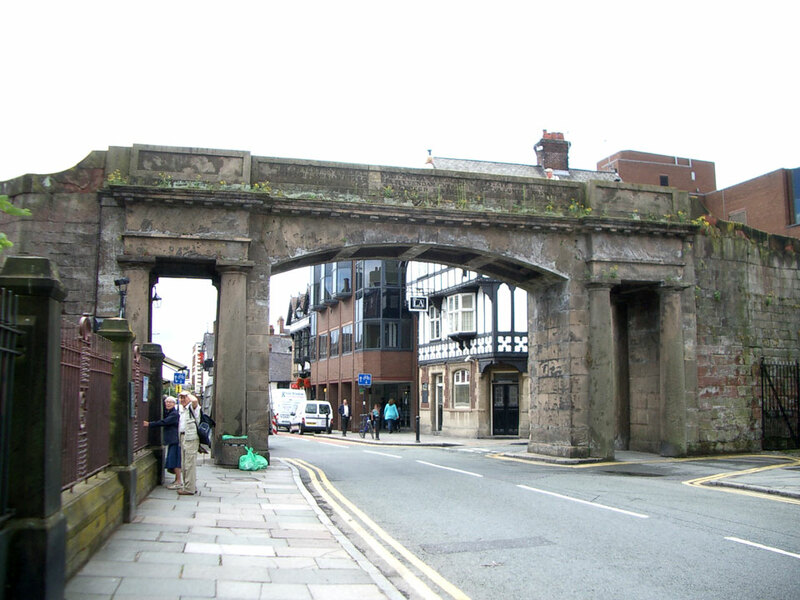 The gates on the north and east sides stood on the present sites of Northgate and Eastgate. 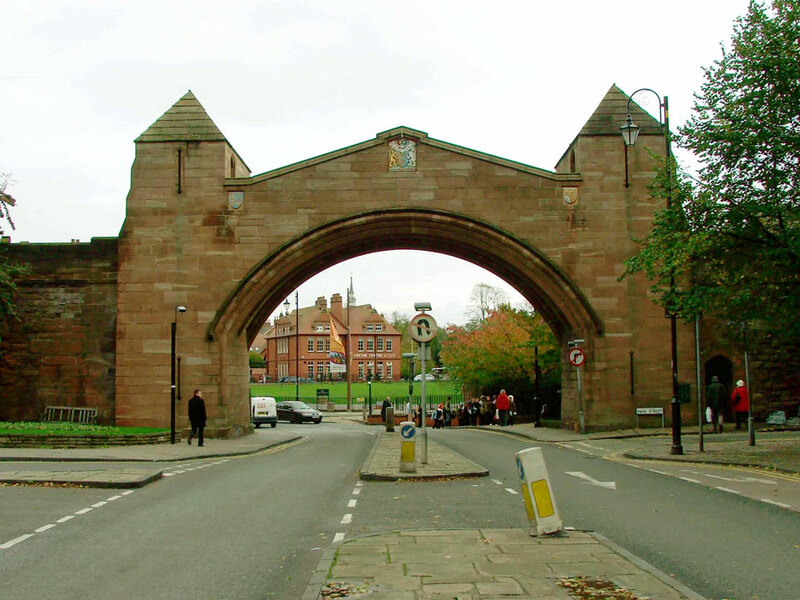 When the walls were refurbished at the beginning of the 13th century the west and south gates had to be demolished and two new gates were built - the Watergate and the Shipgate (Bridgegate). 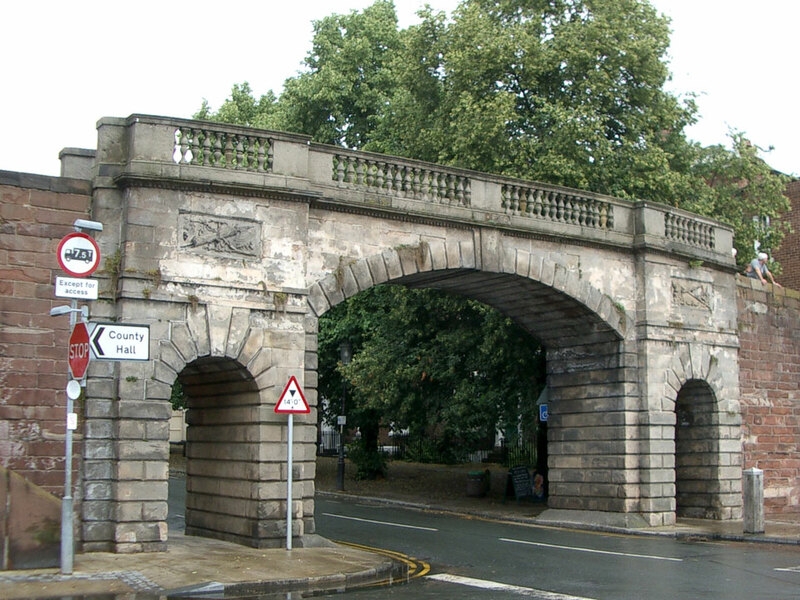 Newgate was added in 1938 and a concrete footbridge, named St Martin's Gate, was built in 1966.